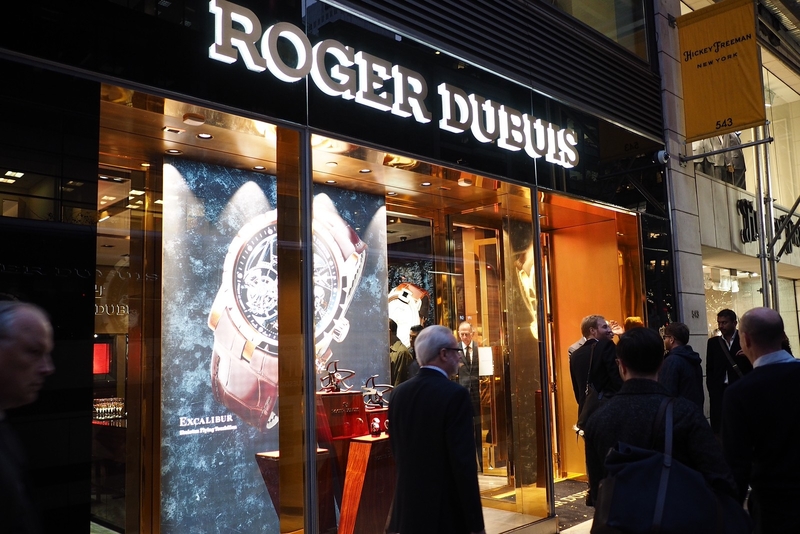 Every year, Roger Dubuis introduces one marque timepiece. A super sports watch, so to speak. 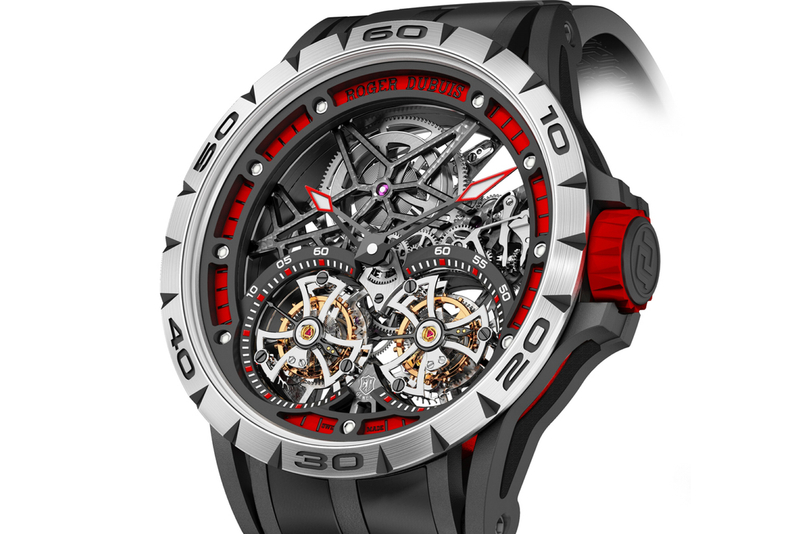 This year, that timepiece is the Excalibur Spider Skeleton Double Flying Tourbillon. 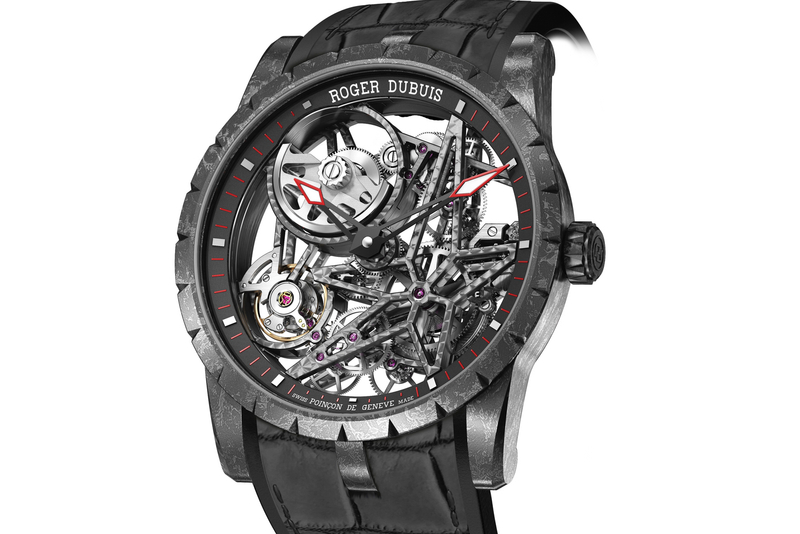 In addition to the caliber RD01SQ double flying tourbillon skeleton movement, the highlight here is the black DLC titanium case with skeletonized lugs, case sides, and notched natural titanium bezel. 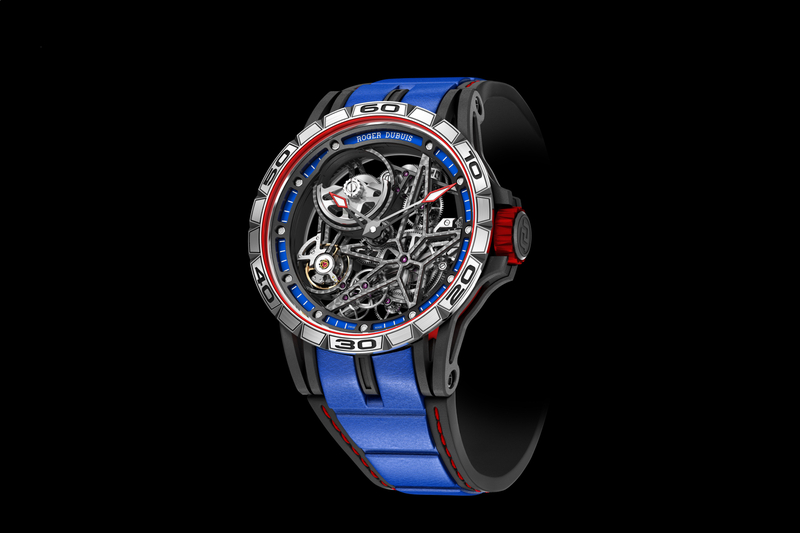 Interestingly, the different 3D elements of the watch are visually enhanced by the combination of fire red accents – particularly the red aluminum inner bezel ring that is even visible through the side of the case – against the dark components of the movement and case.